Have a blast at traditional clay pigeon shooting! We use both full size 12 gauge shotguns and lighter 20 gauge guns suitable for beginners so that everybody can enjoy the thrill of shooting and hitting clay pigeons! You’ll be under the constant, expert supervision of our CPSA qualified instructors. You will be carefully instructed how to load and fire the gun safely and the correct technique needed to hit the flying clay targets. 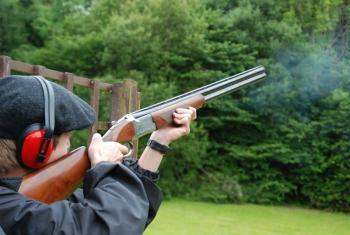 Clay shooting requires a specially licensed venue; please talk to us – we can run you through the various options. 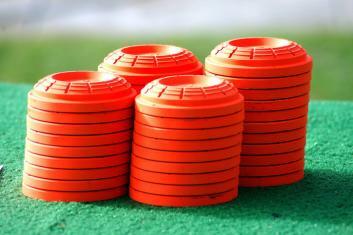 We also run an alternative event; Laser Clay Shooting. You may wish to consider this when a venue will not allow traditional shooting. Using laser clays, the ‘spread’ of shot is wider so you’ll be able to hit more varied and interesting clays travelling at different angles. An excellent alternative.